The Braemar real estate market has been on fire recently, and the townhouse resales are no exception. These days, with the lack of inventory, if a Braemar home hits the MLS in good condition and is priced right, it flies off the market. Without further delay, let’s take a look at the Braemar townhouse market for the months of March and April. There were twelve Braemar townhouses sold between March and April. The high sold price was $295,000, repeated three times, with the one car garage townhouses. The low sold price was $230,000. That comes from a two bedroom, two and a half bathroom townhouse with no garage. When you average all the sold prices, you get our new average market value for Braemar townhouses of $277,833. That represents nearly a 12.5% increase since last report, and over an 8.5% increase in value since last year. If you placed your Braemar townhouse on the market, priced to current conditions, you could expect it to be under contract in an average of just barely over two weeks. You could also expect a buyer to ask for an average of 1.5% of the sale price in closing cost help. The next Braemar Townhouse Report will be out in July and will detail sales from May and June. Until then, if you are interested in selling your Braemar townhouse, call me for a free market analysis of your specific home’s value. I’ve been a Braemar home owner and full-time Bristow Real Estate Agent since 2005. In 2007 I added the distinction of being a Short Sale Agent to my resume. No matter what your equity I can help you get your Braemar home sold quickly and for the maximum amount of money. And remember, no one knows Braemar better! Braemar Carriage Home Under Contract in Six Days!!! This Maplewood model Carriage home in Braemar hit the market on May 16, 2013 priced at $345,000. Within twenty-four hours it had an offer, and a great one at that. However, because the Sellers had committed to doing two open houses that first weekend, and to review offers on May 21st, they held off until then to accept that offer. Thankfully, the expectation that no offers would be reviewed before May 21st had been put out there to all agents, so the Buyers were happy to wait. This one will be settling before the end of June, so we’ll reveal the sold price then. Until then, if you have a Braemar home you’d like to sell, give me a call for a free market analysis. No one knows Braemar better! The sunny spring days are making it hard to concentrate on work. Nonetheless, that is what I must do as it’s time to roll out another Braemar Property Value Report detailing sales of homes in the Heritage Series from March and April. If you don’t already know, Heritage Series homes in Braemar are mid-sized single family homes with attached two car garages and include the following floor plans: Exeter, Yardley, Zachery and Waverly. During the months of March and April, there were five resales of Braemar Heritage Series homes. 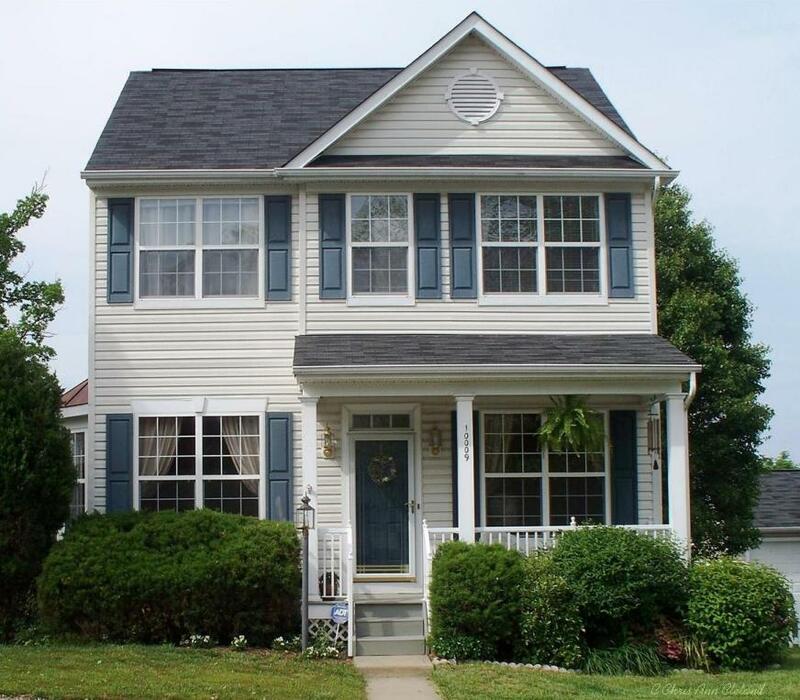 The high sold price was $440,000 from a Yardley with four bedrooms and three and a half bathrooms. The low sold price was $367,000 from an Exeter with four bedrooms and two and a half bathrooms. The averages of all five sales give us our new average market value for Braemar Heritage Series homes of $417,400. That’s a 4% increase since last report and over a 17.% increase since last year. If you placed your Braemar Heritage Series home on the market, priced to market conditions, you could expect it to be under contract in about one month. You could also expect a buyer to ask for an average of 1/2% of the sales price in closing cost assistance. The next Braemar Property Value Report will be out in July and will detail sales from the months of May and June. If you want to know your specific home’s value in today’s marketplace, call me for your free market analysis. I’ve been a full-time real estate agent and Braemar home owner since 2005. In 2007, I also added the distinction of being a Short Sale Agent. No matter what your equity position, I can get you the most money in the shortest amount of time when you sell your Braemar home. No one knows Braemar better! It is hard to concentrate on a beautiful spring day with the sun shining in my office window. I’ll take the sun over the rain any day. And despite the way that sun is winking at me, I am here to bring you the latest real estate activity for Braemar Courtyard homes from the months of March and April. In case you are unfamiliar, a Braemar Courtyard home is one of three different models that share a private courtyard driveway and have very small yards. Models include the Arlington, Ballston and Clarendon. There was only one sale of a Braemar Courtyard home during the months of March and April. If you’ve been following this report for any length of time, you know that one sale is not unusual given the small number of Courtyard homes in Braemar. In fact, one sale is better than none, which is often what we see. 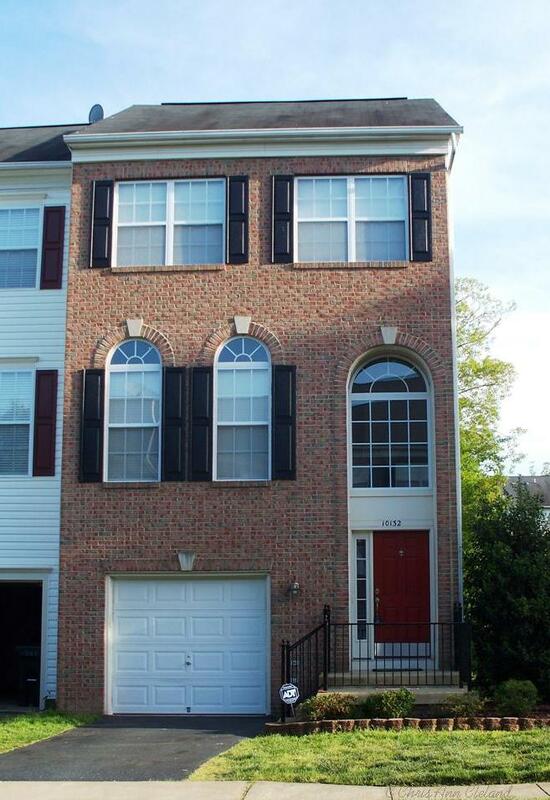 This particular sale was a three bedroom, two and a half bathroom Ballston model for $315,000. That sold price was $16,000 above its asking price. With only one sold price, we simply make that our new average market value for Braemar Courtyard homes. Unfortunately, that new value is nearly a 5% decrease since last report and a 5.5% decrease since last year. None of this should have a Braemar Courtyard home owner distressed. I have seen some of the upcoming Courtyard home sales. As we’ve found through tracking values since 2005, more than any type of Braemar home, these Courtyard values fluctuate a lot. If you placed your Braemar Courtyard home on the market, priced to current market conditions, you could expect it to be under contract in about one month. You could also expect a buyer to ask for an average of 3% of the sales price in closing cost help. The next Braemar Property Value Report will be out in July and will detail sales from May and June. Until then, if you are thinking of selling your Braemar home, give me a call for a free market analysis. I’ve been a Braemar resident and full-time Bristow Real Estate Agent since 2005. In 2007, I added the distinction of being a Short Sale Agent to my resume. No matter what your equity position, I can get your Braemar home sold as fast as possible, and for the most amount of money. And remember, no one knows Braemar better! Before the calendar even flipped us into 2013, the Bristow-Gainesville real estate market was ramping up. By the time we rang in the new year, I was wondering if it could get anymore hectic when spring arrived. The answer? Yes. Our Braemar real estate market is making a lot of sellers very happy with the high buyer demand. That demand is always multiplied in the Carriage homes of Braemar. So without further delay, let’s take a look at what the last two months meant for resales in the Braemar Carriage homes. In case you aren’t sure what a Braemar Carriage home is, Carriage homes are characterized by the lack of attached garage. Rather, it has a detached garage, if it has one at all Not all Carriage home buyers opted for the garage and instead, have a paved parking area in the rear of their home. The models, from smallest to largest, include the Maplewood, Norwood, Oakdale and Parkdale. There were three Carriage home resales between the months of March and April. The highest sold price was $360,000. That was a four bedroom, three and a half bathroom Parkdale model. The lowest sold price was $350,00). That one was a Norwood with three bedrooms and two and a half bathrooms. The average of all three sold prices gives us our new average market value for Braemar Carriage homes of $354,667. That is up nearly 18% since last report. Unfortunately, because there were no resales in the same time period last year, we have no twelve month comparison. If you placed your Braemar Carriage home on the market, priced to current market conditions, this report indicates that your home would be under contract in less than three weeks time. Some are going under contract within a week or less. You could also expect a buyer to ask for an average of 2% of the sales price in closing cost help. The next Braemar Property Value Report will be out in July and will detail sales from May and June. Until then, if you are thinking of selling your Braemar Carriage home, give me a call for a free market analysis of your specific home’s value. I’ve been a Braemar resident and full-time Bristow Real Estate Agent since 2005. I added the distinction of being a Short Sale Agent in 2007. No matter what your equity position, I can get your Braemar home sold for the maximum amount of money in the shortest period of time. And most importantly…No one knows Braemar better! Spring time hit Braemar and the surrounding Bristow area with what felt, and still feels, like buckets of rain. It is great for the lawns and other plants, but I would love to see some more sun. The cloudy and rainy days seem to be outnumbering the sunny ones. Of course, the weather, be it good or bad, really doesn’t seem to ever affect the Braemar real estate market. In this report, we’ll look back at March and April’s sales activity for larger single family homes in Braemar known as the Arista Series. These include the Allister, Buckingham and Canterbury models built by Brookfield Homes. There were two resales of Arista Series homes over the last two months. There were both Canterburys, which are the most popular home choice of the Arista Series in Braemar. 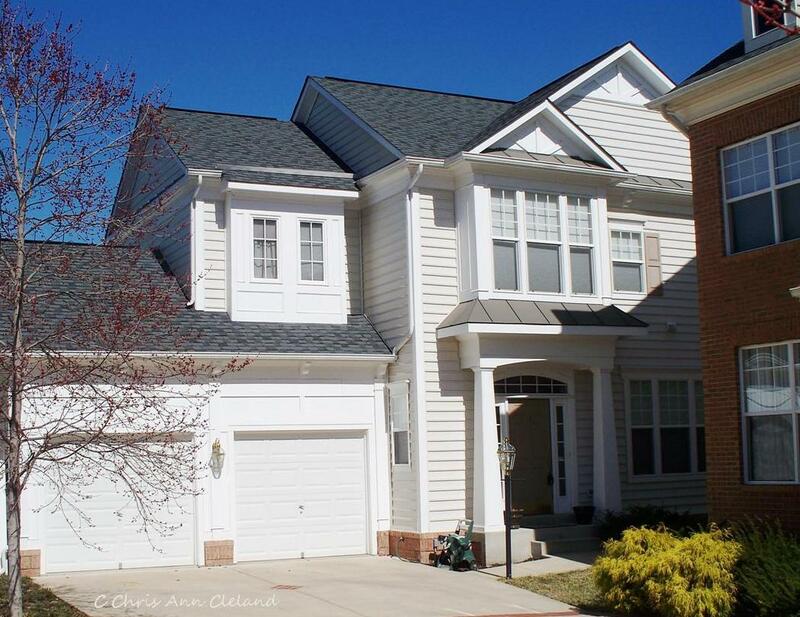 The high sold price was $500,000 on a five bedroom, four and a half bathroom Canterbury. 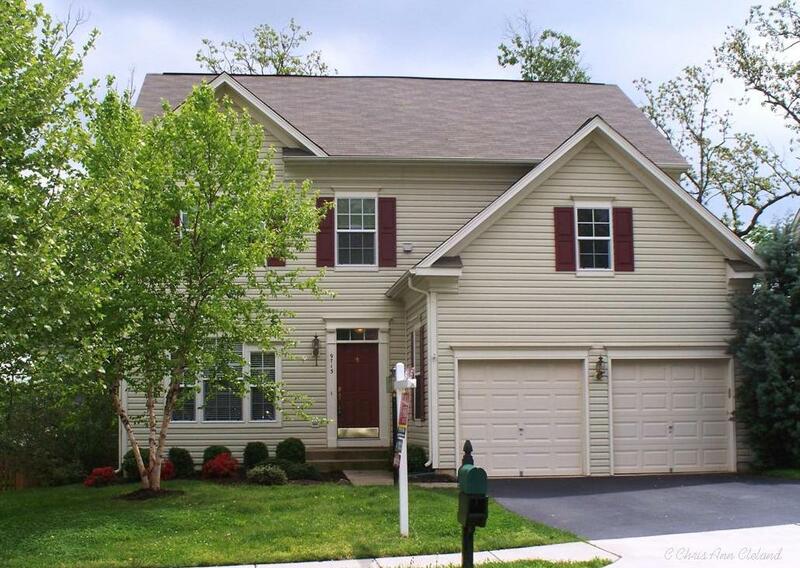 The low sold price was $451,000 on a four bedroom, three and a half bathroom Canterbury. The average of their sold prices gives us our new average market value in the Arista Series of $475,500. That is an increase of over 18.5% since last report, and not surprising since last report’s sale was a very modest Allister and not representative of most Arista homes that are located in Braemar. And since there weren’t any sales in March or April 2012, we have no year to year comparison. If you placed your Allister, Buckingham or Canterbury model home at the market, priced to current market conditions, you could expect it to be under contract in an an average of just over three weeks. And since neither of the Canterburys that sold in March or April gave any closing cost help, it is safe to say that the buyer competition for the limited amount of homes for sale may amount to more and more sellers not giving any closing cost assistance. The next Braemar Property Value Report will be out in July and will detail sales from May and June. Until then, if you are thinking of selling your Braemar home, call me for a free market analysis of your specific home’s value. I’ve been a Braemar resident and full-time Bristow Real Estate Agent since 2005. I’ve also been a Short Sale Agent since 2007. I know our local market and how your home fits into it. No one knows Braemar better! I’m really excited to be sharing this new listing at 10009 Boreland Court in Braemar with you. It’s a three bedroom, three and a half bathroom Maplewood model, listed for $345,000. Like the majority of Braemar carriage homes, it does have a two car detached garage. 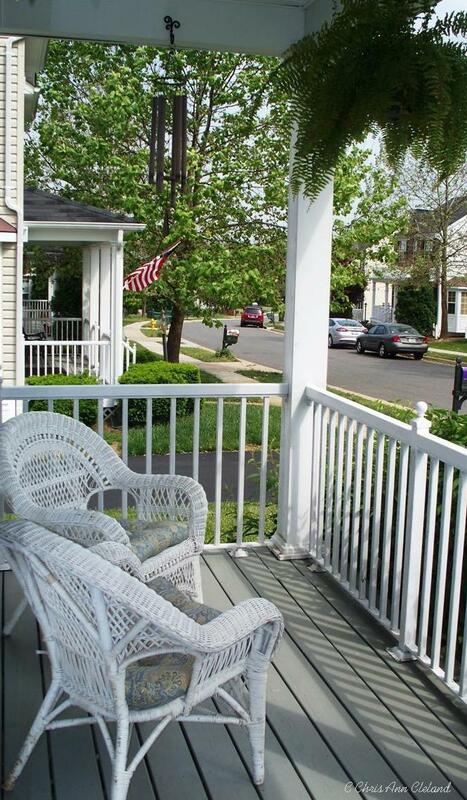 It also sports a charming, covered front porch. Around back, is a wood deck that enters into the breakfast nook/kitchen and a wood patio that overlooks the lawn and wooded view. Inside you have a formal dining room with a bay window and wood floors. The kitchen is galley style with a breakfast nook at the end. 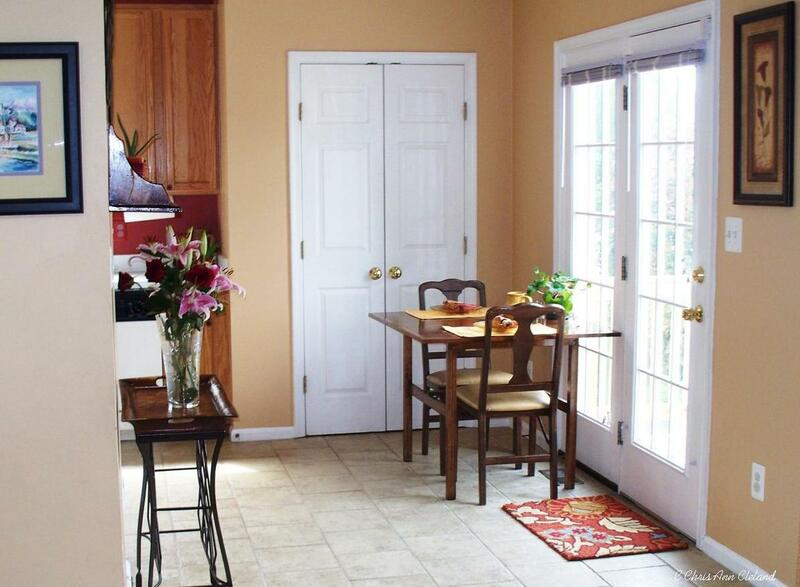 This area of the home is ceramic tile flooring. The family room and formal living room, as well as the bedrooms and hallway upstairs, are done in brand new carpet. A powder room is also conveniently located on the main level, giving you a bathroom on every level. The Master Suite give you ample room in the bedroom, one walk-in closet and an attached bathroom with the feature of having double sinks. The remaining two bedrooms were decorated with love with hand painted murals. The Dr. Suess room is my absolute favorite part of this home. In the basement, there is a finished recreation area and a walk up exit. There is also a full bathroom and a sizable unfinished area where you’ll find the laundry area and room for a lot of storage. This home has a lot to offer. 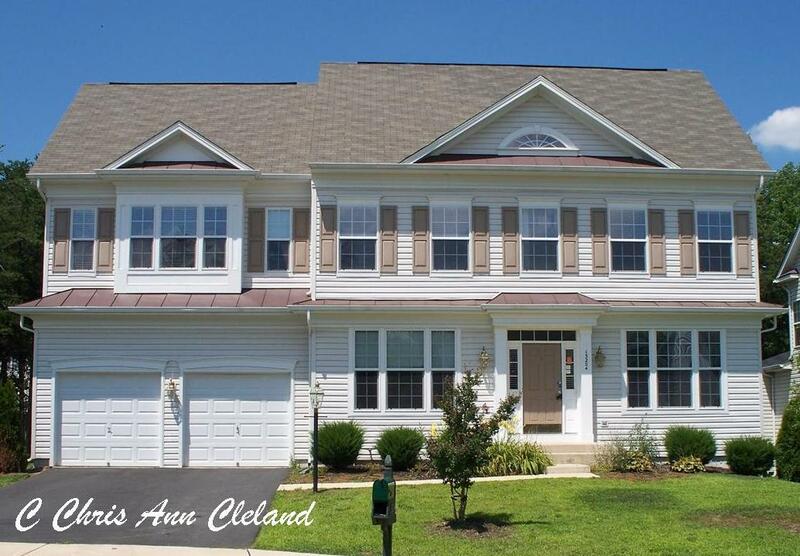 It is located in the section of Braemar where basic cable and internet through RCN are part of your monthly HOA dues. If you want to see it for yourself, it is being held open Saturday, May 18, 2013 and Sunday, May 19, 2013 from 1pm-4pm both days. I won’t be there, but some very helpful agents from the Long & Foster Gainesville office will be there to assist you. In the meantime, if you have specific questions about this home, or are thinking of listing your own Braemar home, give me a call for a free market analysis. No one knows Braemar better!